One of the recipes I tried from from the cookbook Gluten Free Made Simple was their Spaghetti and Meatballs. The only thing I did differently was I made my Spaghetti Sauce instead of the recipe they had paired up with the Meatballs. 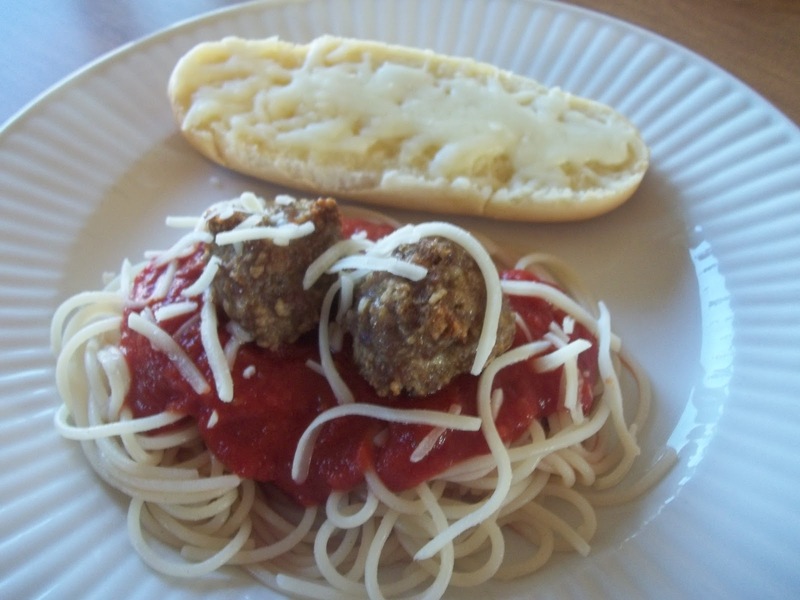 This was a real easy recipe to make and to be honest the meatballs tasted wonderful the next day with BBQ sauce on them! Preheat oven to 350. 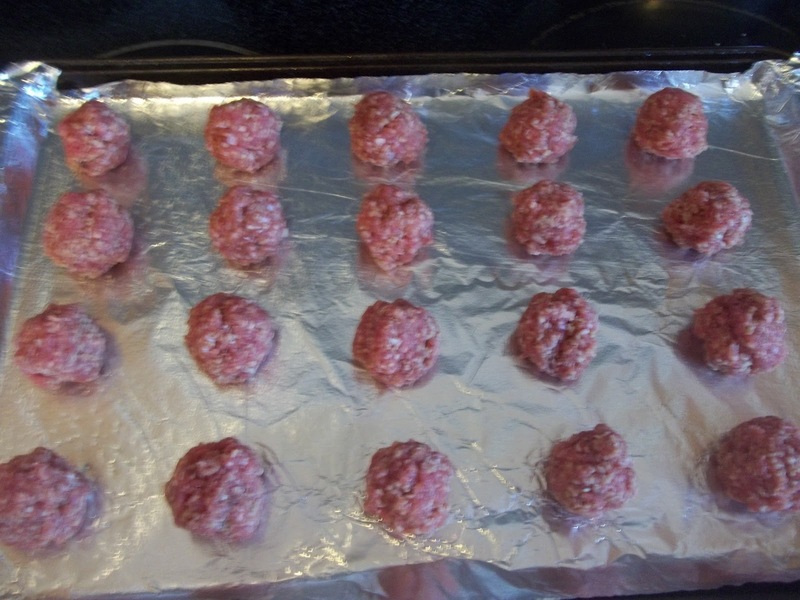 Form meat mixture into 1 1/2 inch meatballs. 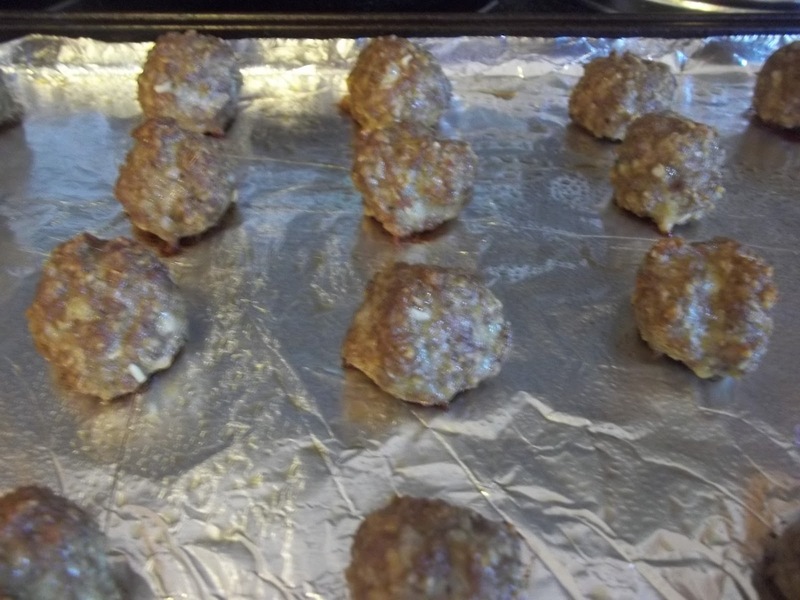 Place in a shallow baking pan, leaving about 1 inch between the meatballs. Bake for 30 minutes. I think I made mine to small. I was able to get 40 meatballs and the recipe says to make 16 lol. But they still tasted great. For the garlic bread I used some of Kinnikinnick new Soft Bread hot dog buns (spread with butter, sprinkle with garlic powder and top with a 5 cheese blend or mozz cheese and bake till cheese is melted). This entry was posted in Beef, Recipes on March 12, 2012 by Kandi.